For those who have been interested in watching movies and TV series, you might probably be used to read the subtitles to ease you to understand the conversation. For instance, an English spoken movies with Chinese subtitle, or even an English movie with English Subtitle. Either way, you are very helped with the subtitles. You may realize that movies and TV series are not just an entertainment for you. Watching foreign language movies is a fun way to improve your language skills as well. While watching the movies or TV series, you will learn deeper about the various languages, the semantic, contextual, idioms, as well as the new expressions that you have never seen before in your language class. Not to mention that you can also learn the new slangs on your own. Here are some aspects that you can consider to maximize your learning through watching the movies. Many said that you will learn to speak fast from the native speakers. 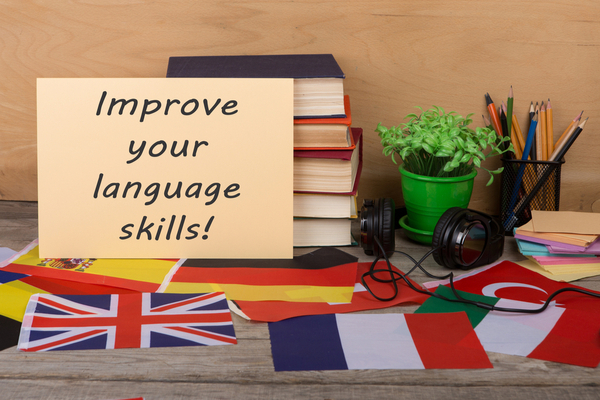 Watching the foreign movies or TV shows can be the fastest way to hone your speaking skills. You could just hear what they say and try to repeat it. This will improve your fluency, pronunciation, intonation, and expression. Wear your headset, and watch your favorite show. You will listen to every word the actors and actresses say. If needed, you will want to turn on the subtitle to help you to read the message. It is a great way to boost your listening skill, no matter what language used in the show you watch. Believe it, you will find a lot of new slang, jargon, coined words, and other words which you may never learn before. You will also know how they use the language in daily life. When it comes to watching the movies and TV series, the spectrum of learning can be wider and more dynamic. You will have unlimited opportunities to brainstorm the new ideas of the language that you have been learning. Of course, you don’t have to understand all the things. The point is that you can have a nice experience in enjoying the entertainment you like with the added bonus of learning the language. Try to catch words and some expressions that you haven’t known and look for its meanings. Some semantic contexts can also be a bit tricky to learn. Therefore, using your media player to watch the movie will come in handy since you can pause and replay. You will find much interesting stuff that you’ve never seen before.